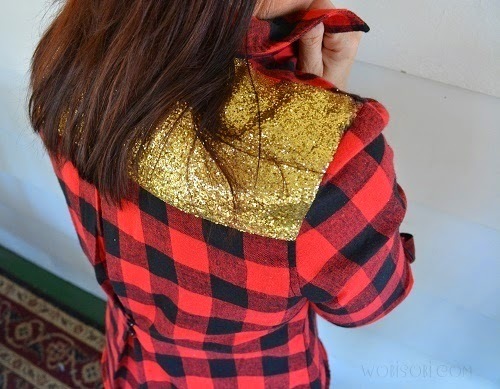 iLoveToCreate Blog: Glitter Plaid Shirt. 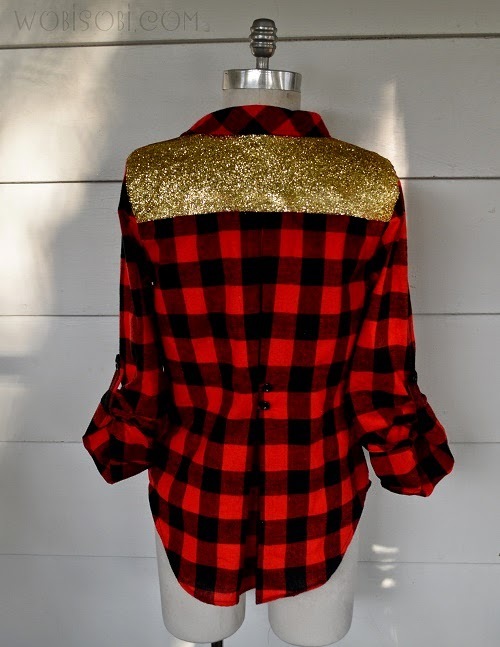 I saw this sequin plaid shirt on Pinterest and I could not wait to recreate my own version. 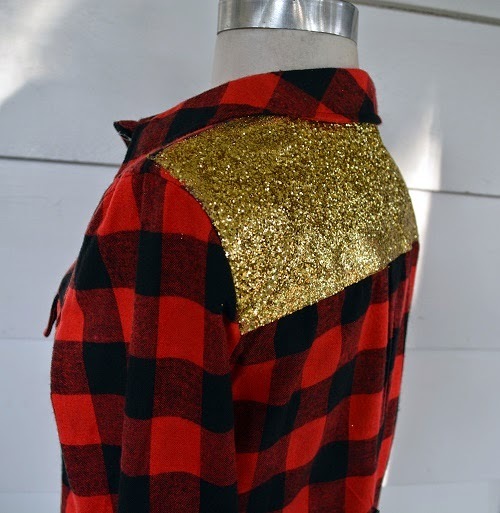 or some aluminum foil or wax paper in between your shirt. This keeps it from bleeding to the other side. 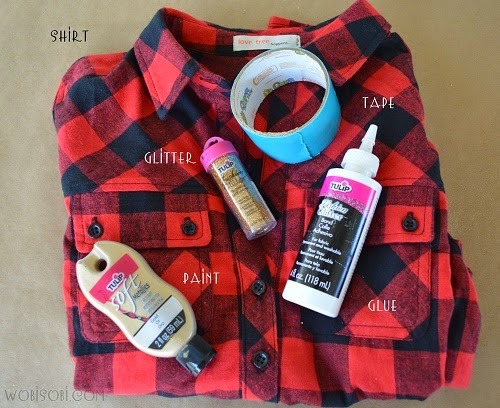 Squirt out your Fashion Glitter Glue on the top panel of your shirt. Brush it out so that it is even all over the panel. 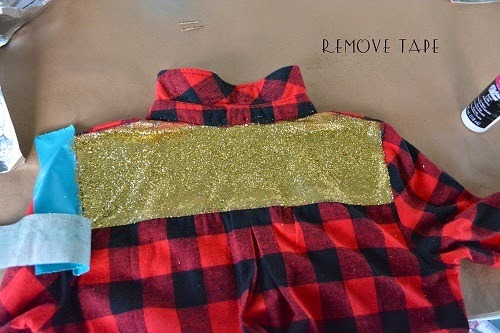 Now tape off your shirt. You could do this in the beginning if you wanted. 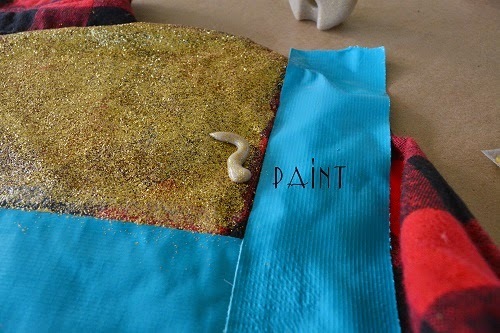 Take your Tulip Soft Glitter paint. 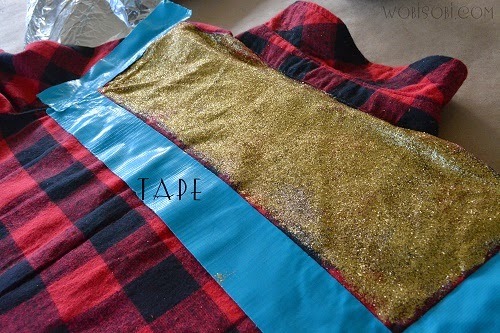 and over your glitter layer. 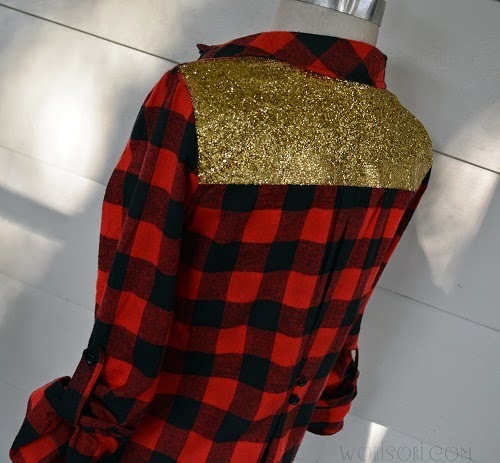 *Layering is the key to this. 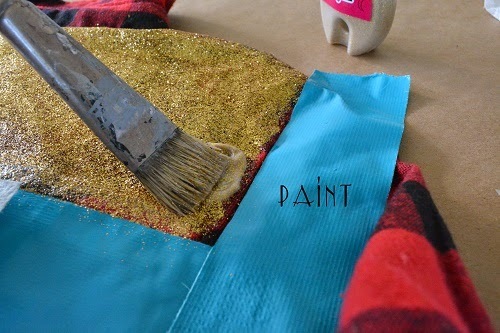 Sprinkle more Glitter on the wet paint. Let that set up about an hour. to get it to the desired look you want. 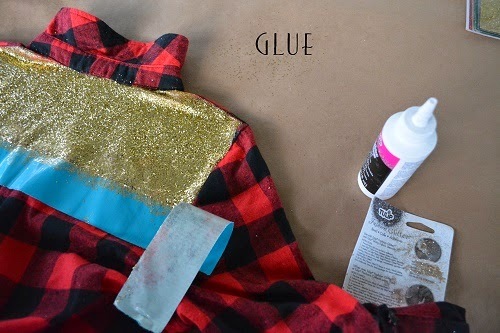 Once you have the desired look you want, put a thin layer of glue on top of the glitter. 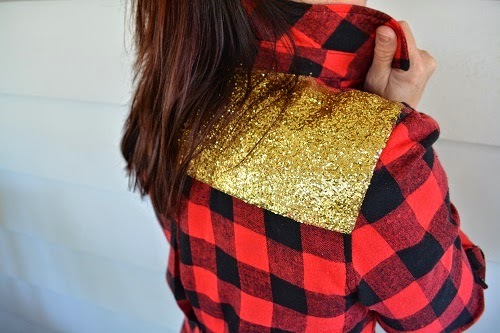 This acts as a seal to keep all of your glitter from coming off. 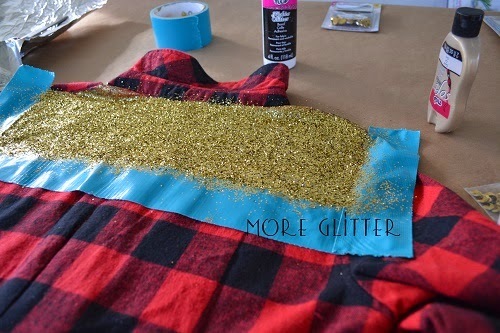 * Glitter will shed a little but that is normal. Let that dry 24 hours. Wait 48 to 72 hours before you wash.
Wash it wash in cold water and hang dry. 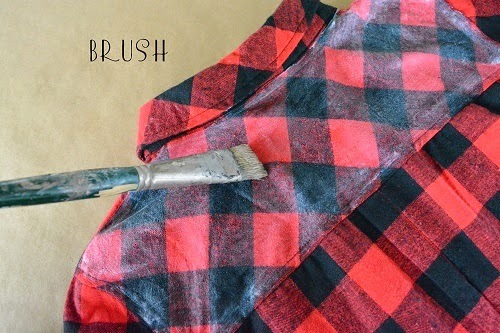 for more up to date DIY. This is TOO FAB for words!!! This is great but I'm concerned how you would be able to wash this. 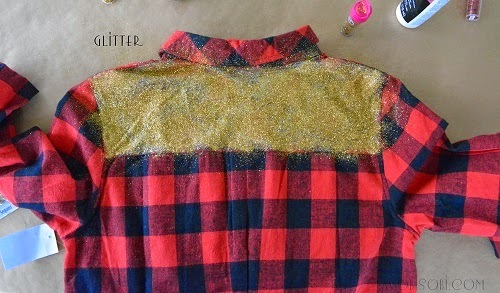 Wouldn't the glitter come off in the wash from heat or friction? look great,but i also ask how to wash it? Wash is my questions too, plus isnt it super stiff? I've glitter painted a before and it was stiff, but cute. 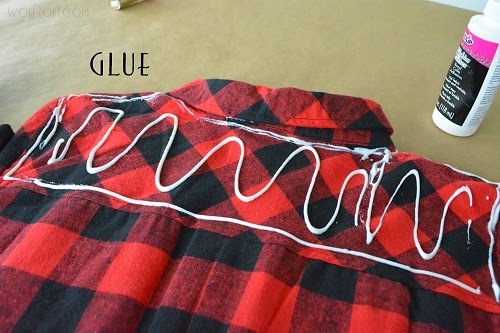 But I just used regular elmers glue, not fabric glue. 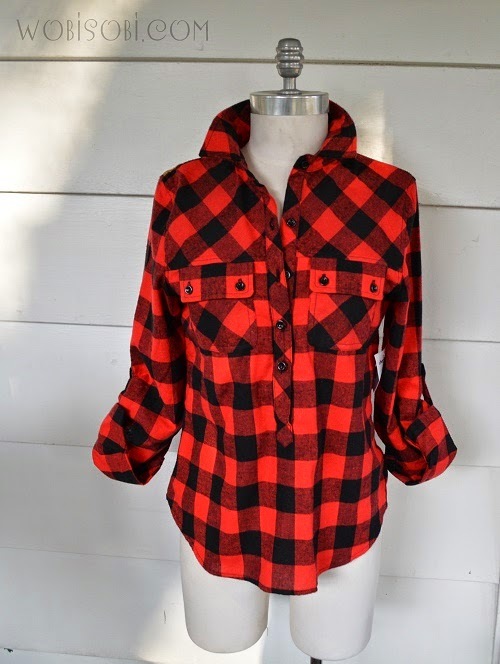 This is an excellent idea, I love flannel and plaid shirts, and you can find my last article about warm flannel shirts and how to wash and dry them! 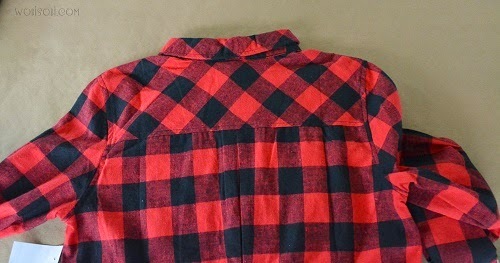 I think the best plaid flannel shirt is red buffalo plaid!